It’s a Knight or princess adventure times 6! 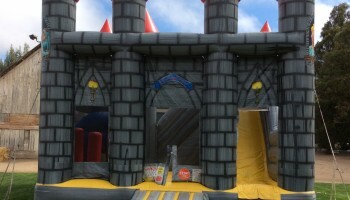 This Castle Combo 6 In 1 features a bouncer area, crawl through, obstacle challenge, climbing wall, slide and basketball hoop. 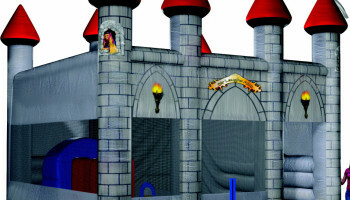 Includes richly-detailed digital graphics, child-proof finger-safe netting, inflatable ramp and a nice size slide. 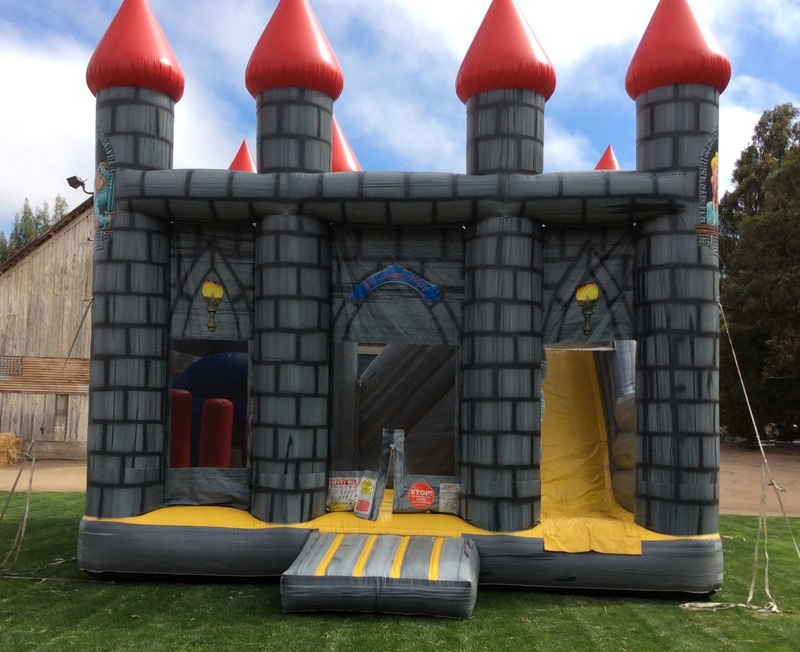 Price: Rental rate is from $279.00 to $349.00. 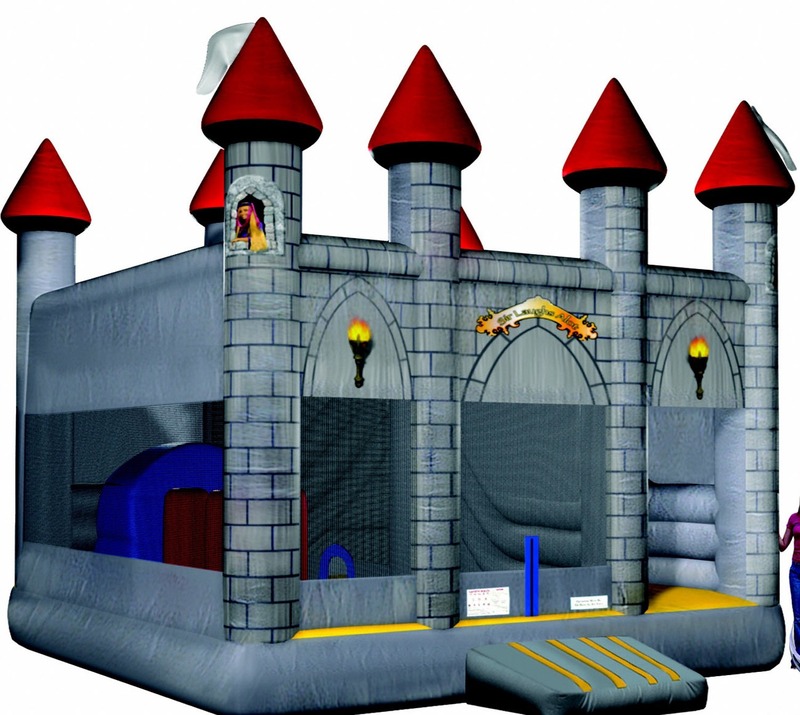 Please have your zip code and location available (home or park) and call our office to reserve this item: 888-630-3866.